No more messy hands! 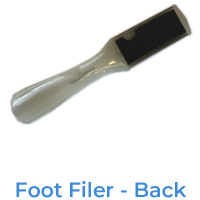 Magic Heal comes in a special push stick applicator that glides smoothly over the affected area, leaving your hands free of messy residue or having to negotiate unwieldy application gloves. 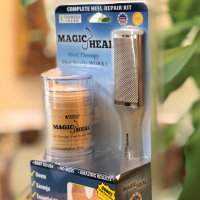 In a pinch, you can apply Magic Heal on the go or while traveling and enjoy a leisurely stroll while on vacation without having to pack a “cracked heel med kit”. For best results, apply once every night and put on socks. Only four to five applications will drastically improve your skin. 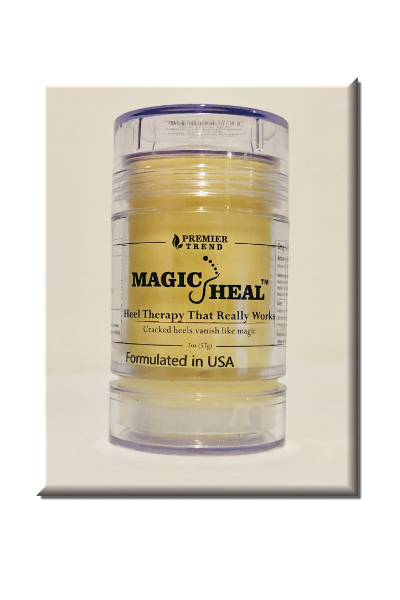 Magic Heal is equally effective on dry skin for other parts of the body. You can use Magic Heal on your elbows and knees. 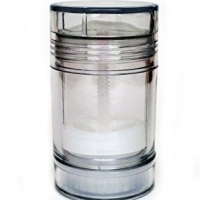 It works quickly to moisturize and restore vitality to damaged and cracked skin wherever it is applied. Beeswax and other essential oils. Magic Heal contains Neem oil (also known as Magic Tree oil), which is well known for its use in treating many skin disorders including Eczema, psoriasis and acne.